GOLDEN Fluids are the most versatile paint formula, with high tinting strength, flexibility and durability on many surfaces. 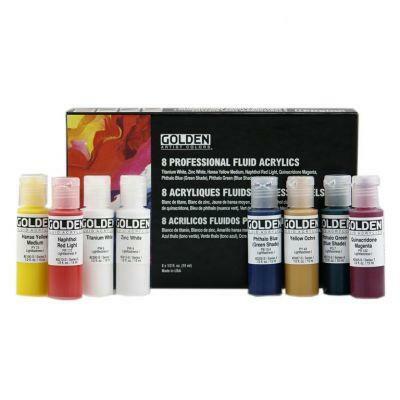 The colours in this set are recommended for colour mixing, tinting, and shading. Color Mixing Guide and Fluid Application Guide.